Best Slider Recipes - Home. Made. Interest. 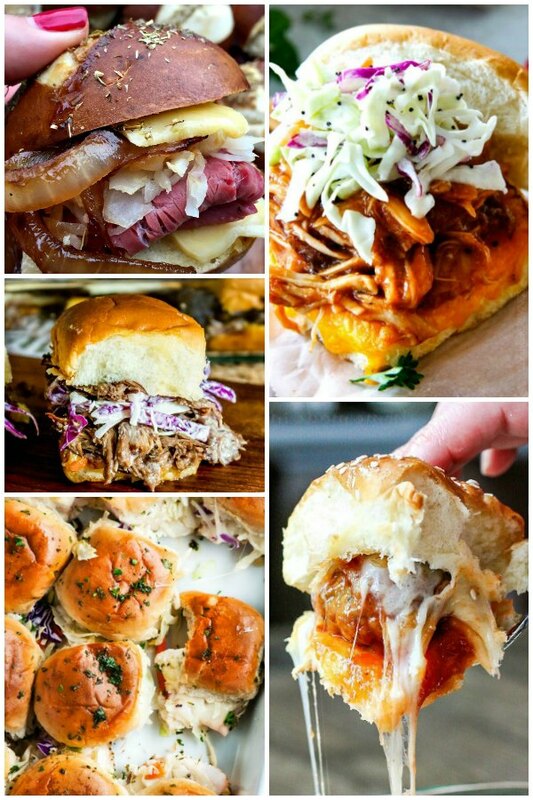 This is the ultimate guide to the Best Slider Recipes ever! Everything you need to know to make quick and easy slider recipes that will feed a crowd. These slider recipes are the best football appetizers you can serve for tailgating or game day parties. The leaves are turning, there’s pumpkin flavored everything, and football season is here…it must be fall! Fall really should be called FOOD season since all we do is eat in preparation for winter like hibernating bears. Is that just me? It’s get your fat pants ready season and I love it! Today I’m sharing my go-to party appetizer, sliders. Sliders are something I serve at all of my parties especially my epic Super Bowl party every year! 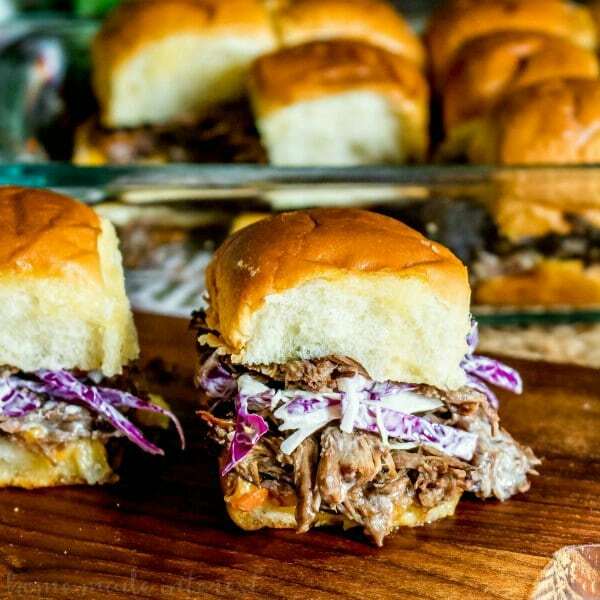 Sliders are perfect for tailgating and footballs parties because they are easy to make and feed a big crowd without a lot of work. I call them sliders but they are also known as pull apart sandwiches. Whatever you call them, they are delicious and everyone loves them. Most can be made in 30 minutes or less, which is a total bonus in my book. We’re pretty obsessed with slider recipes here at Home. Made. Interest. and we’ve made some of the best slider recipes. We even have an ebook with new slider recipes that you haven’t seen before. Let me just say, s’mores sliders may or may not be in there. Wink wink. Before you begin making some of the best slider recipes ever there are two things you’ll need for every recipe. A baking dish of some sort and foil. Most slider recipes call for them to be covered so the slider buns do not burn. Here are a few options that you most likely have sitting in your kitchen right now. Basic Pyrex Baking Dishes– Everyone should own Pyrex, if you don’t, please read Things All Adults Should Own If They Want To Eat! Baking Sheets– I prefer these because they have a silicone handle since I am prone to burning myself. Fancy Casserole Dishes– I use the term fancy loosely. Use anything that fits and can be placed in the oven. Disposable Aluminum Pans– For a no-fuss, no cleaning option just use these. Aluminum Foil– Used to cover the sliders so the bread doesn’t burn while you bake them. Okay, now that you have to right tools you’re on your way to making the best slider recipes. These little bundles of joy are not only the best party appetizers but also make a great dinner for your family. I have even made sliders for school events and potlucks. Did I mention, they are easy to transport? They are also bigger than most finger food appetizers and oh so filling. Which means less work for you when you’re creating your party menu. Most of the slider recipes below can be assembled ahead of time or prepped the day before by partially cooking components of the dish. If they can be assembled ahead of time I marked the slider recipes with a (^). If components can be cooked the day before I marked them with a (*). Most sauces and glazes can be prepared ahead of time and stored in the fridge until you need them. I suggest making any meat that is made in the slow cooker a day before to give the meat more time to absorb those flavors . The biggest time saver is to make or prep any part of the slider ahead of time that you can. Cut up vegetables, make your sauces, etc. If you are making sliders for a party get everything ready the night before or the morning of the party and then and bake the sliders 1 hour before guests arrive. Keep them warm in the oven on low heat (200 degrees F) covered with foil. With all that extra time, you can focus on other party details like booze. 🙂 It’s all about priorities! Meatball sliders are classic party food. You can make your own meatballs or you can buy frozen meatballs. Personally, I think frozen is the way to go if you’re trying to save time and a few bucks. You can also find frozen meatballs in various flavors that you can use to create new, delicious meatball slider recipes. Here are just a few of my favorite meatballs slider recipes. Chicken and turkey sliders are a great alternative to beef and pork. You can save time by using rotisserie chicken or leftover Thanksgiving turkey. 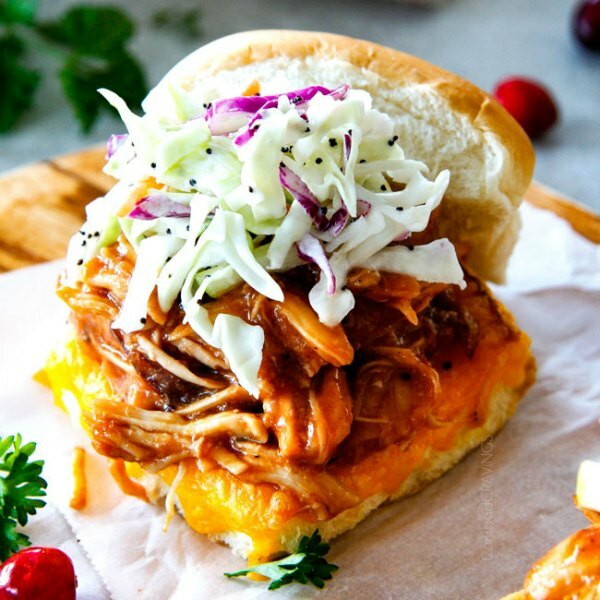 There are so many awesome sauces and cheeses that you can use for chicken or turkey sliders from something sweet to something spicy and almost all of these recipes can be used interchangeably with chicken or turkey. 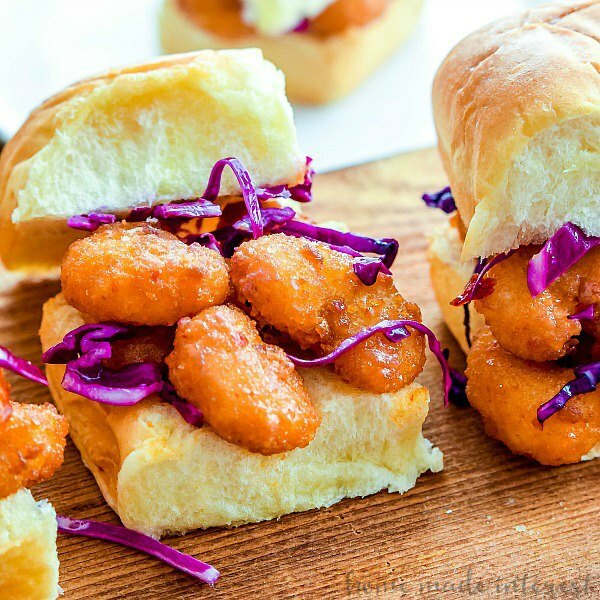 Check out some of the best chicken slider recipes and turkey slider recipes. The next few sliders are some my favorite types to make. All you have to do is make one quick trip to the deli and you have tons of different meats and cheeses to pick from. These easy slider recipes take classic sandwich recipes and turn them into delicious slider recipes for parties! Those Philly Cheesesteak Sliders are some of the best football party food out there! 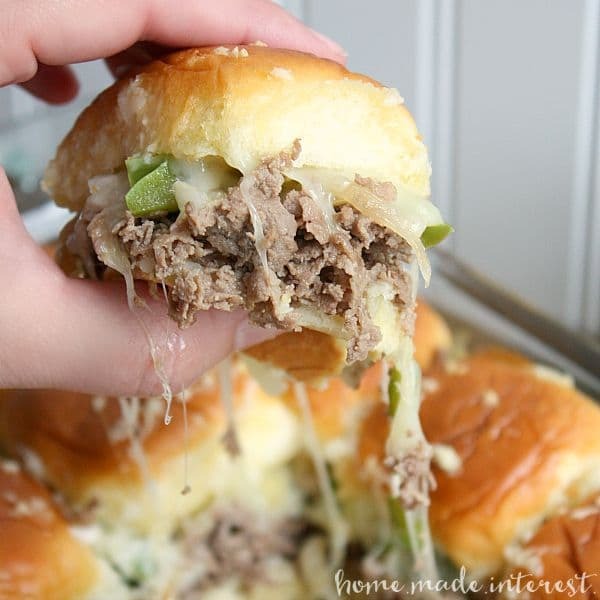 Philly Cheesesteak Sliders– ^* Most popular Philly cheesesteak slider recipe on Google and Pinterest. Raise your hand if you love beef! Me, me, me. 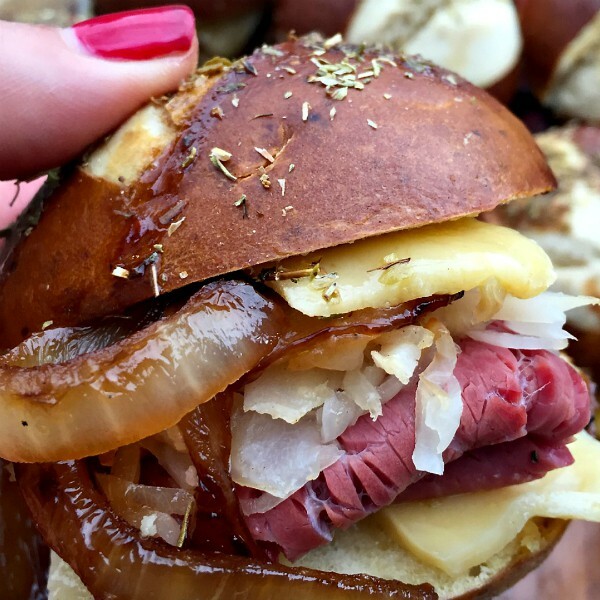 The next slider recipes give you an idea of how versatile beef can be. You can use beef to make sliders by turning it into burger patties, shredding it or even buying pre-made cooked beef that is ready to go. 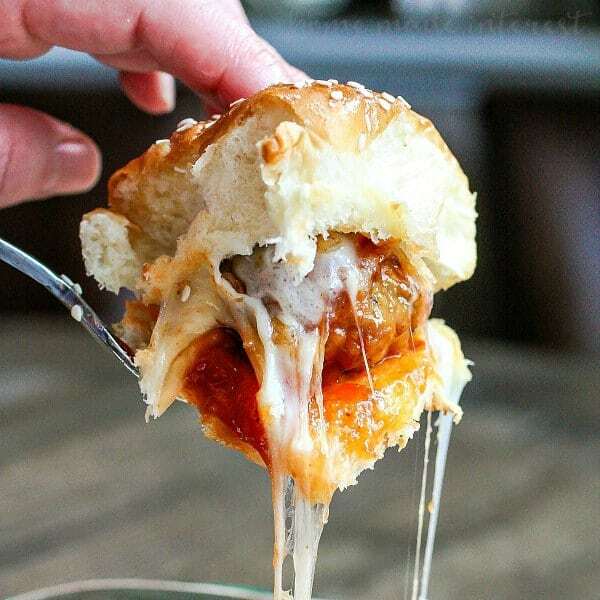 There really isn’t much better than a beef slider with cheese and an amazing sauce or gravy! For lighter slider recipes, try fish, shrimp, crab or lobster. If you’re making a seafood slider you can use frozen or fresh seafood. If you have a favorite seafood recipe you can probably turn it into a seafood slider. If you’re serving several different sliders at your party, I suggest one of the seafood sliders below to give your guests more variety. Alright guys, now you have a huge list of the best slider recipes I have tried. Serve them at your next party or bring them tailgating. I’m certain they will not disappoint, and if they do you may need new friends. Great roundup of sliders! I agree that they are perfect for parties and tailgating! Thanks for including my Vegan Meatball Sliders!